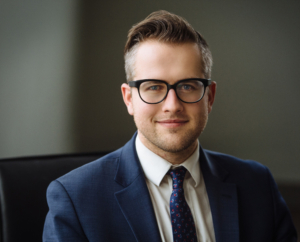 After completing his first year at the University of Alberta Faculty of Law, Brayden joined the firm as a summer articled student and worked with us in the summer of 2016 and 2017. He will re-join us in May 2018 as an Articled Student. Prior to attending law school, Brayden studied Business Administration at Trinity Western University, where he also served as captain of the varsity soccer team. In his spare time, he enjoys watching and participating in a long list of sports, travelling, and most of all, spending time with his wife Katrina and their sons Henry and Sam. Despite having lived in Edmonton, Brayden will never become an Oilers fan.